Health and beauty are root deep. Over time, the soil beneath your lawn gets compacted, which impedes root growth. Compaction is a result of foot traffic, lawn maintenance and clay soil. This compaction prevents grass from establishing a healthy root system and keeps air, water and fertilizer from reaching the roots. 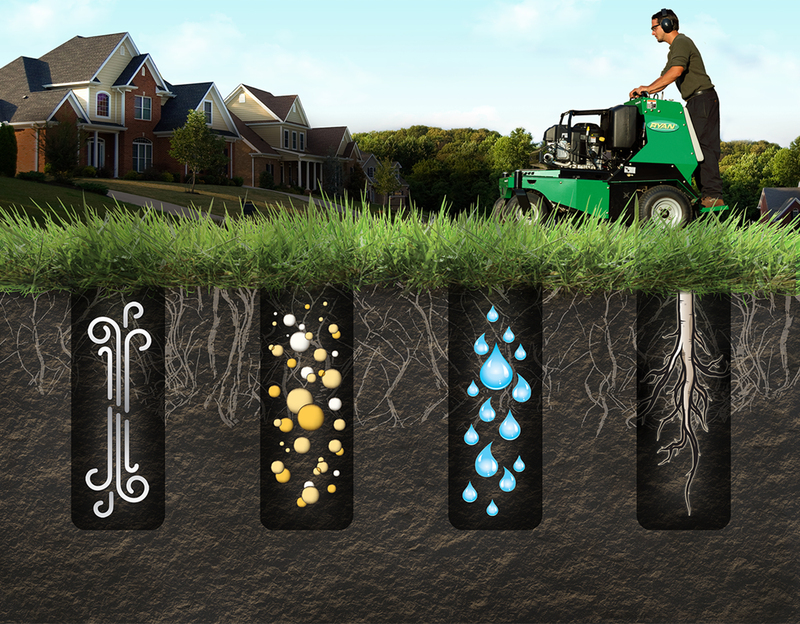 Check out the Dealer Locator to find out where you can rent RYAN® Aeration products. With hundreds of dealerships carrying RYAN® Aerators nationwide, you're sure to find one near you. Steps to a Successful Aeration Block Party! Follow RYAN Turf on Facebook to see upcoming aeration block parties! For over 70 years, the RYAN brand has been synonymous with heavy-duty, commercial-built, long-lasting turf care equipment. Staying true to this simple mission, RYAN has become one of the most trusted names in turf renovation equipment growing to include a wide range of products like aerators, dethatchers, overseeders, sod cutters and other specialty products that serve the landscaping and grounds and turf care professional — renovationg many of the most pristine landscapes around the globe. RYAN turf renovation equipment is proudly produced in the U.S.A. and is available through power equipment and rental dealerships nationwide.